The Golden Knights will host Mercyhurst in what should be a good non-conference match-up. Clarkson is firing on all cylinders right now. They haven’t really had a problem establishing themselves offensively, and there hasn’t been much to complain about defensively either. However, the Lakers’ top-six is much more threatening than any the Golden Knights have faced so far this year, so this will be a bigger test for their blue line. Even if there are breakdowns defensively, chances are netminder Erica Howe will be up for the challenge. 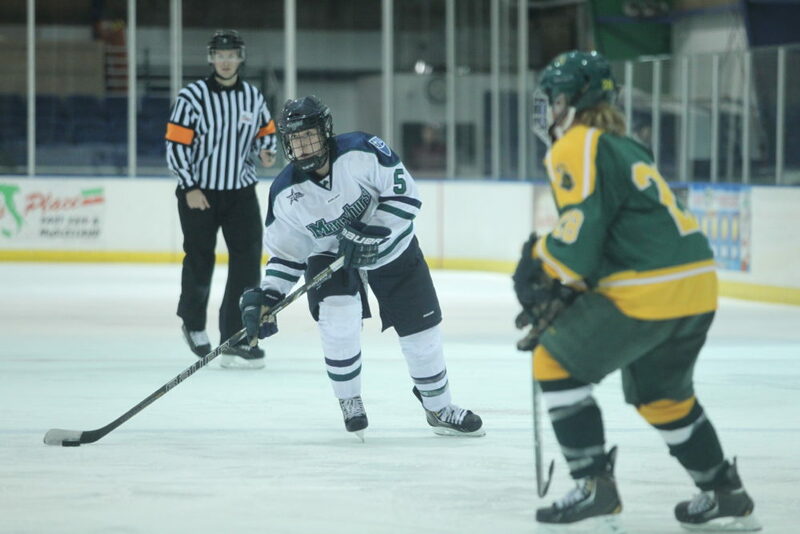 Look for senior forward Jamie Lee Rattray to break out a little more this weekend and show why she’s one of the best forwards in the country. Despite not getting two wins last week, it was a good series overall for the Lakers. But Clarkson will be a much stronger opponent than Providence; the Golden Knights seemingly have it figured out already and also have a clear edge in goal. Even though it’s only October, this is a huge weekend for Mercyhurst. They have a lot to prove and, with losses to Minnesota State, Ohio State, and Providence, are running out of time to prove it. They’re absolutely going to need big weekends from their top scorers, and from junior defenseman Molly Byrne, who will need to step up as the Lakers attempt to stall this Clarkson attack. Minnesota will visit Minnesota-Duluth in what should be another tough WCHA match-up for both teams. As the Bulldogs showed last week against North Dakota, they can score quickly, and the Gophers will have to respect that. Minnesota has been vulnerable at times, so they’ll have to tighten things up defensively because Minnesota-Duluth definitely has the talent to make them pay. The Gophers will especially be tested by the Bulldogs’ top line of Jenna McParland, Jamie Kenyon, and Ashleigh Brykaliuk, who have looked very good in every game so far this year. Boston College suffered an upset on Wednesday night, losing 3-1 to New Hampshire. Though the Eagles had some flashes of dominance, especially in the last ten minutes of the game, they didn’t pressure the Wildcats nearly enough. They’re going to need to be better on the penalty kill, and their defense needs to be much more assertive down low and in front of the net. No matter how shocking, a loss in October isn’t going to kill Boston College; they just need to focus on improving their game and bouncing back right away this weekend against Yale and Dartmouth. 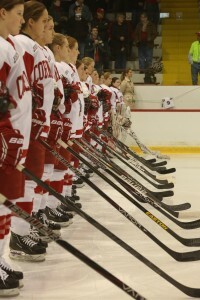 Cornell will open their season with a couple of home games against Northeastern. It should be an interesting series as both teams adjust to some big losses. With the Big Red’s depleted defensive corps, I think there’s more pressure on their offense this year, so we’ll see how their forwards respond to that challenge. Huskies goaltender Chloe Desjardins has been very solid so far, and if she’s on top of her game she’ll certainly make things tougher for Cornell’s offense. Northeastern, too, will have to find reliable scorers this season, and some might emerge against this weakened Big Red defense. North Dakota welcomes Ohio State to town this weekend. The Buckeyes have been a bit up-and-down this year but they did earn a big win over Mercyhurst on the road. With twin sisters Kari and Sara Schmitt on the back-end, Ohio State is capable of moving the puck out efficiently, and that’s something UND will have to be mindful of. I think North Dakota would like to see their entire blue line start to come together, with all of their top-four defensemen able to consistently boost the transition game. They’ll also be looking to play a stronger defensive game overall and to get their power play going this weekend.